This lady whose identity remains undisclosed found her picture in her mother-in-law's wardrobe. That would have been reasonable had she not seen something else - a fetish charm. According to the woman, she had found her photo pinned down to these charms with nails. The distraught lady could not hide her fear at having seen this. Hence, she took to crying out about the situation. Her lamentations attracted the attention of her neighbours so that, in no time at all, the matter became a full blown catastrophe. The distraught neighbours of the woman took to filming a footage of the photos and charm and sharing it on social media. 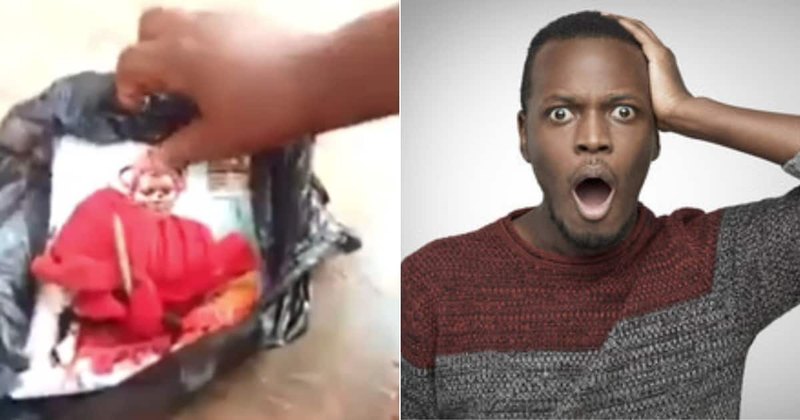 Recently, Legitf.ng reported the news about a man who was caught trying to . A lady who professed to know the man revealed more information about the purpose of his evil deed.